Calling all teens (grades 6-12) who are interested in revamping the Farmington Community Library Teen Advisory Board for the coming year! We need teens who are willing to help plan programs for their peers, step up social media interaction, and make the teen areas of the two branches the best they can be. This is a great opportunity for volunteer hours as well as learning skills that will be useful in the future. Teen social media accounts (for teens primarily, but parents of t(w)eens can also follow the accounts) are: Facebook, Twitter, & Instagram. If you are interested in helping with content for our social media accounts, have recently read/watched/listened to a great book/movie/CD, or or have questions about how you can help, please let Jennie or Shira know! Our first TAB: Revamped! meeting was Thursday, June 30, 2016 at the downtown Farmington Branch Library. We discussed what we wanted the revamped Teen Advisory Board to be like, started planning programs for the new year, and agreed to start new social media accounts for teen events and news. Our Revamped! TAB meetings are held every month during the school year, at alternate branches. Meetings at the Farmington Hills branch will be on the third Monday of the month (with some exceptions), and meetings at the downtown Farmington branch will be on the third Wednesday of the month (with some exceptions). 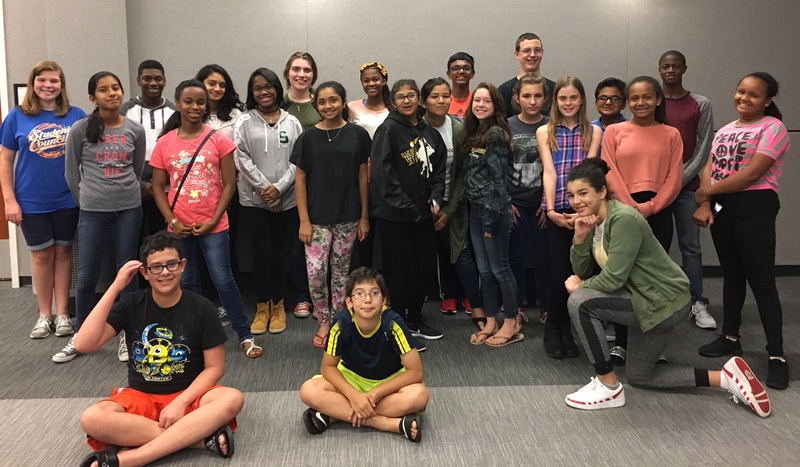 Between September and May (9 months), with one program at each branch (x2), the Library usually hosts 18 programs for teens. Our TAB agreed to be responsible for planning and running at least two programs within every three months of the school year (6 total). They have actually been responsible for organizing the majority of the programming since 2016, including during Summer Reading.